Only have one day to explore Xining? 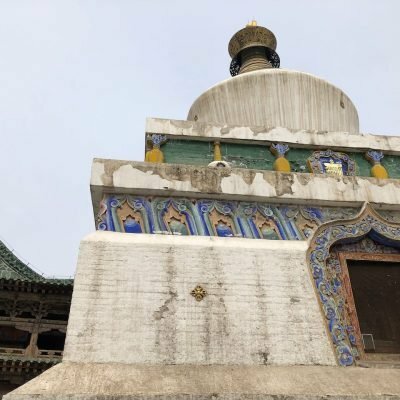 Here is a great way to see 2 amazing Buddhist monasteries that are both very close to the capital of Qinghai Province. 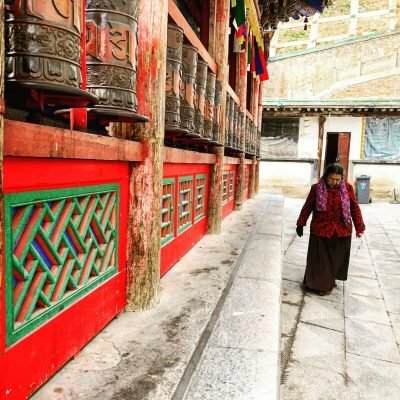 These monasteries hold so many brilliant colors and so much Tibetan history. See life through the eyes of a monk as you explore these temples and smell the incense rising into the air. Note: the above video gives a general glimpse of Qinghai Province. Not all areas located in this video are included in this specific day tour. Xining ( 西宁 Xīníng, ཟི་ལིང་། Ziling) is the capital of Qinghai province in western China, and the largest city on the Tibetan Plateau. As of the 2010 census, it had a popluation of 2,208,708 inhabitants. With so many people in Xining, it can be hard to know what to see and how to travel. Elevated Trips wants to help you simplify all that so that you can see some of the best the high plateau has to offer without bumbling around and asking for directions in broken Chinese. Here is a little history to get you started on your tour. Xining was a commercial hub along the Northern Silk Road’s Hexi Corridor for over 2000 years, and was a stronghold of the Han, Sui, Tang, and Song dynasties’ resistance against nomadic attacks from the west. Although long a part of Gansu province, Xining was added to Qinghai in 1928. Xining holds sites of religious significance to Muslims and Buddhists, including the Dongguan Mosque and Ta’er Monastery. The city lies in the Huangshui River valley, and owing to its high altitude, has a cold semi-arid climate. It is connected by rail to Lhasa, Tibet and connected by high-speed rail to Lanzhou, Gansu and Ürümqi, Xinjiang. On this tour we will be viewing two monasteries that are relatively close to Xining. The monasteries are the Kumbum Monastery and the Nanshan Temple. Both monasteries will give you a fairly good insight into the culture and traditions of Tibetan Buddhism. Kumbum Monastery (Tibetan: སྐུ་འབུམ་བྱམས་པ་གླིང་ ) also called Ta’er Temple or 塔尔寺 in Chinese, is a Tibetan gompa in Huangzhong County, Xining, Qinghai, China. It was founded in 1583 in a narrow valley close to the village of Lusar in the historical Tibetan region of Amdo. Kumbum Monastery is a actually under a satellite of the famous Drepung Monastery in Lhasa. 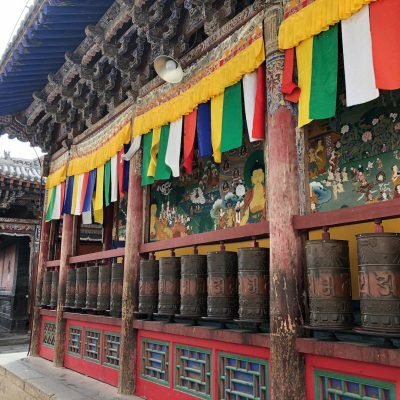 As the religious activity center for both monks and followers of the Yellow Hat Sect (also named Gelugpa Sect, a branch of Tibetan Buddhism), Kumbum Monastery (Ta’er Monastery) is located 25 kilometers (about 16 miles) south ocapital city of Qinghai Province – Xining. Kumbum Monastery houses over 800 monks and is a wonderful, brightly colored architectural complex that contains 9,300 rooms and 52 halls, including Buddha halls, scripture halls, Buddhist pagodas and lamas residences. The monastery is actually comprised of several temples, scripture chanting halls, Buddhist pagodas and monk housing, and incorporates both Tibetan and Han Chinese architectural styles. Tsong Khapa was born in this place and it is said that his mother buried her placenta here after giving birth to her son and a tree grew up in the middle of the courtyard which bears leaves that hold mystical Tibetan letters. In order to commemorate Tsong Khapa (1357-1419), founder of the Yellow Hat Sect, the Kumbum Monastery was built in 1577 more than 150 years after his death. Now it is considered a sacred place in China. In the Tibetan language, Kumbum means ‘10,000 statues of Buddha’. During its long 400 years of history, it has gradually become a place of interest for its distinct ethnic color and native style. The whole area covers more than 144 thousand square meters (about 36 acres) with mountains surrounding it. Kumbum Monastery is grand and imposing and is one of the famous six big lama temples in western China and Tibet (the other five temples are Tibet’s Sera monastery, Drepung monastery, Tashilhunpo monastery, Ganden monastery and the Labrang monastery in Gansu province0). Kumbum enjoys a high reputation throughout the country and all of Southeast Asia. The Nanshan Temple 南山寺 (shown in the video just above), located on Nanshan Lu just above downtown, is also quite a nice place to see locals worshipping. 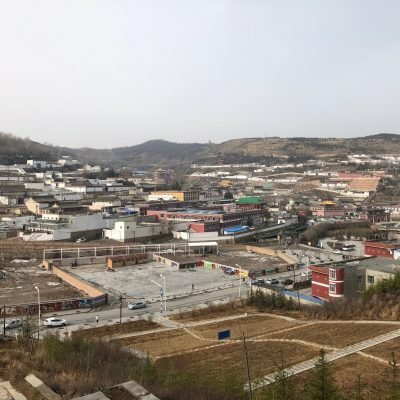 Whenever I have visited I have found it to be extremely quiet and peaceful even though it is only a 100 meters from the traffic of Xining below. Between the two main temple complexes is a small alleyway which winds uphill between narrow brick walls. You probably wouldn’t suspect that this little alley way goes anywhere important, but if continue farther along this alley up the steps you’ll find a nice pathway that takes you above the temple and along a ridgeline of Xining’s south mountain all the way to beautiful mountaintop Nanshan Park. This is definitely worth a walk and you can see the whole city of Xining sprawled out beneath you in an excellent panoramic view. All in all this is a great day trip and great way to take in the sights and smells of authentic Buddhist culture in a short amount of time. If you are interested in this tour, fill out our contact form below and we would love to hear from you! 9:30am- Tour Nanshan Temple , possible walk above the temple to see and excellent view of Xining city. 2:15pm- Arrive at Kumbum Monastery. Spend the afternoon touring the monastery complex and viewing the famous yak butter sculptures in the monastery. 6:00pm- Return to Xining, official tour ends. 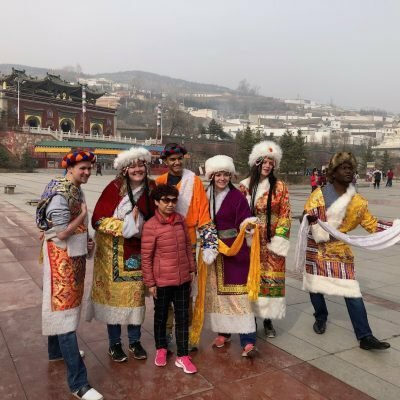 In the morning we will pick you up in Xining and take you to the Nanshan Temple, we will then have lunch outside the temple. 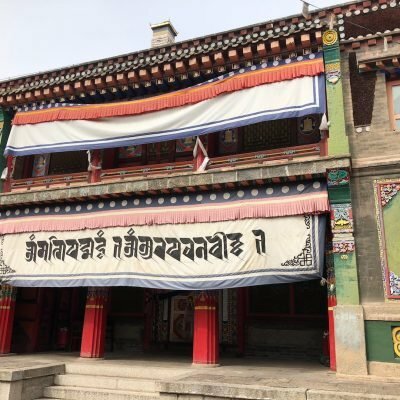 Then we will drive about 40 minutes to Kumbum Monastery and spend the afternoon strolling through the extensive temple halls and seeing the inner workings of Tibetan Buddhism. We will return to Xining by dinner time.